Add a piece with style and function to your home or office with this 2-Drawer Classic Vertical File Cabinet. It has large drawers that can accommodate letter and legal size hanging files. 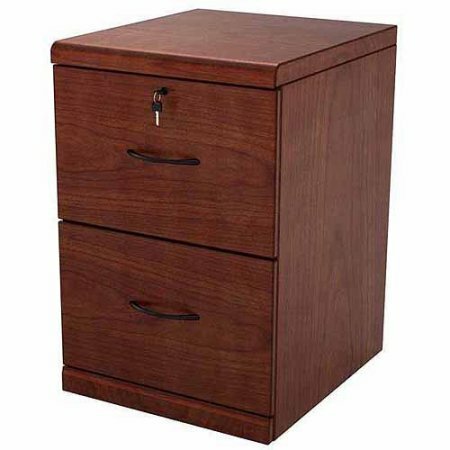 This rich cherry file cabinet features sleek black accents and is equipped with a lock for security.